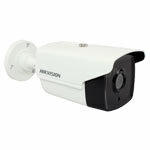 The DS-2CE16D0T-IT5 is part of Hikvisions Eco-range of HD-TVI CCTV Cameras - making HD affordable. 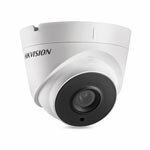 This particular model offers 1080P HD resolution and is fitted with EXIR LEDs that provide night vision up to 80 metres in complete darkness. 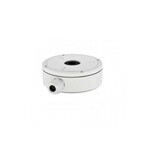 On top of that the camera is IP66 rated for internal or external use, so ideal for home of small business security. Please make sure you select 1080P HD resolution when viewing above footage. The above footage demonstrates how the lens size will change the angle of view - and give you a better idea which lens to choose. As you can see the smaller the lens the wider the angle of view - so you can see much more of the scene with the 3.6mm lens, but of course if you are focusing on subjects further away - then the bigger lenses are better options. Please note the camera was located in exactly the same spot for all this footage - that is approx 3m high and 4m from the first car.